Get Ready for the Claws of Patsy Walker: Hellcat! [ENGLISH] Marvel tells us: Make way for Marvel’s most fearsome heroine… Hellcat! Hellcat scratches and slashes her way into a new age in her five-issue limited series, Patsy Walker: Hellcat, Agent of the Initiative! 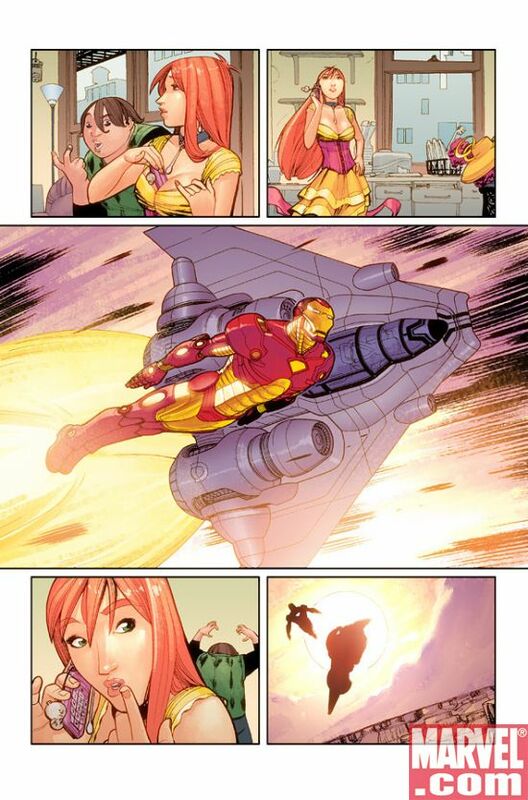 After the 50 State Initiative, Alaska is without a hero and Iron Man has just the heroine in mind, Hellcat! 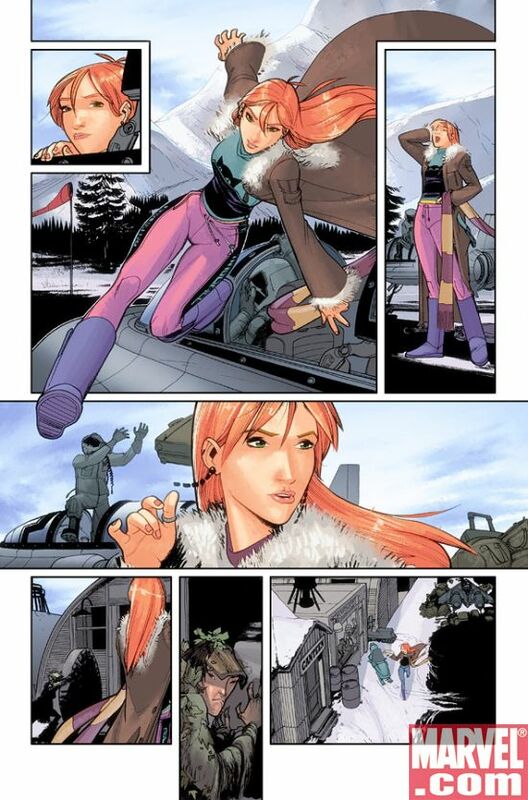 With magnificently, stunning art work from soon-to-be star, David Lafuente Garcia (X-Men Divided We Stand), Hellcat is going to face a lot more trouble than just learning how to deal with Mother Nature! 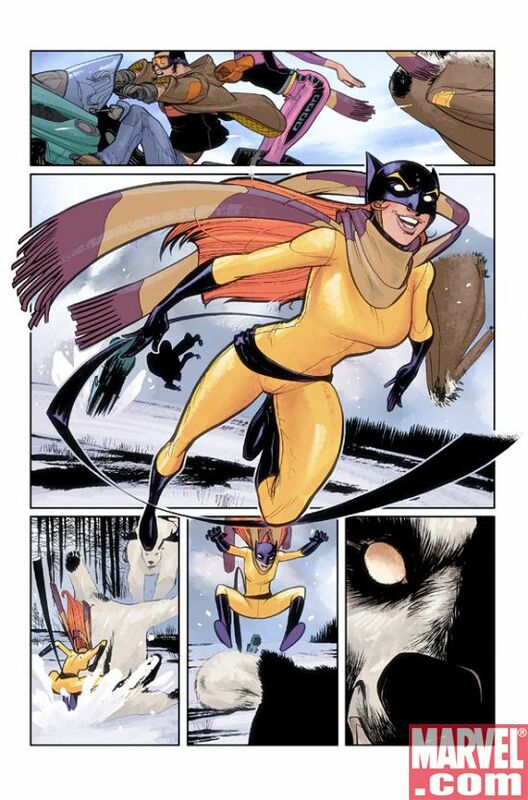 Up and coming star writer, Kathryn Immonen (Marvel Comics Presents), is going to throw Hellcat into a wild world full magic and this cat may not land on all fours! Hellcat will have to face witches, rapid polar bears, killer Eskimos, and crazed demons! Editor-in-chief, Joe Quesada proclaims, “Hellcat is important to the Marvel U… this will redefine Hellcat in the Marvel Universe.” What exactly does the Klondike state have in store for Marvel’s fearsome beauty? Prepare for the cold and danger and find out in Patsy Walker: Hellcat, Agent of the Initiative #1! Make sure not to miss the first issue of this ferocious new limited mini-series! Make It A Marvel-Ous Summer !